- Happy Birthday to Nikola Tesla was born 156 years ago on July 10, 1856. This is a plasma lamp invented by Telsa. 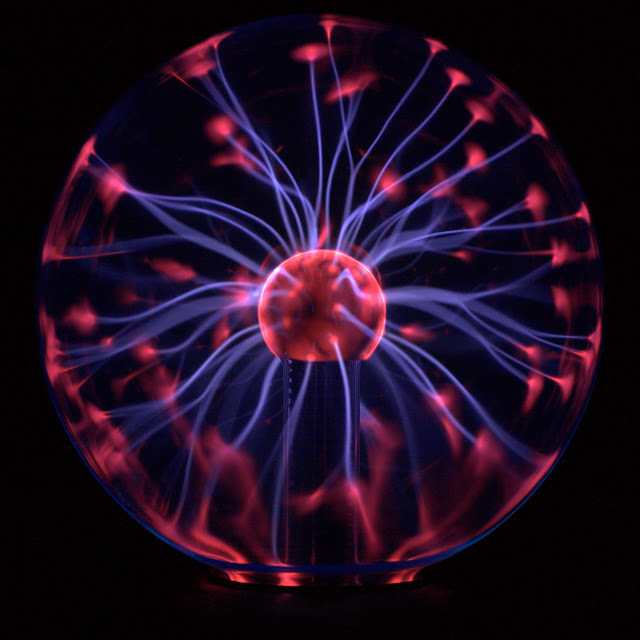 In U.S. Patent 0,514,170 issued to Tesla on February 6, 1894 he describes a plasma lamp. The materials and technology to build the lamp did not exist during Telsa's life. It wasn't until 1970 that Bill Parker an undergraduate student at MIT created this popular product sold throughout the world today. In addition to being the father of AC electrical current, Telsa invented, described or envisioned much of what defines modern technology and science. In my humble opinion, his biography "Tesla: Man Out of Time" by Margret Cheney should be required reading for anyone who practices science or technology. Canon 40D, 1/15 sec @ f/3.5, ISO 400.